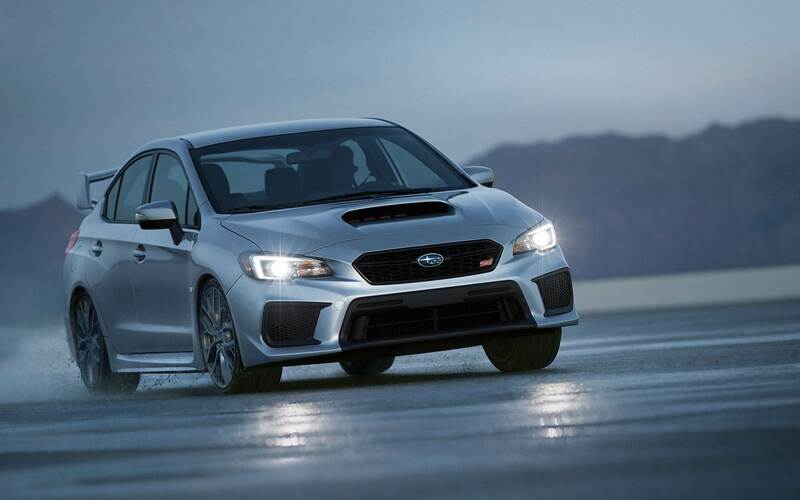 If you have been looking for the perfect car for your driving needs then you have come to the right place to read about the 2017 Subaru WRX that is assembled in the United States. The 2017 Subaru WRX's manufacturer's suggested retail price (MSRP) is $26,695. For the 2017 model year Subaru WRX and WRX STI models get new tricot headliners. The base WRX model can now come with auto on/off headlights with windshield wiper operation. Also, all trim levels of the WRX now come with a power window auto up/down function with anti-pinch protection on the driver's and front passenger's windows. Did you know that the Subaru company's headquarters is in New Jersey at a zero-landfill office? Keep reading to learn more about how the 2017 Subaru WRX could be for you! For a transmission with the 2017 Subaru WRX you can expect to have a six-speed manual. However, a Sport Lineartronic performance automatic transmission with a manual mode is available as an alternative. The engine will be a 2.0-liter Turbo BOXER unit with four cylinders. For fuel economy you can expect to get up to 27 miles per gallon highway, 20 miles per gallon city and 23 miles per gallon combined. The STI model offers 305 horsepower from its engine. The WRX comes with standard Symmetrical All Wheel Drive. Handling technologies that come standard on the 2017 WRX include a Brembo Performance Brake System with Super Sport ABS, Multi-Mode Vehicle Dynamics Control and Active Torque Vectoring. 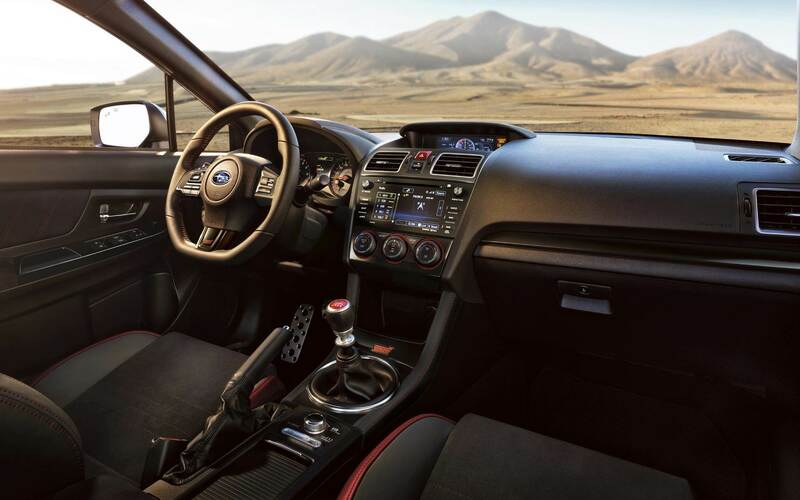 The Subaru Intelligent Drive (SI-DRIVE) powertrain management system lets a driver choose from three selectable modes--Intelligent, Sport and Sport Sharp--by using a rotary dial on the center console. SI-DRIVE fine-tunes the car's electronic throttle control system. Up to five people can comfortably fit in the 2017 Subaru WRX that comes in standard, Premium and Limited trims. 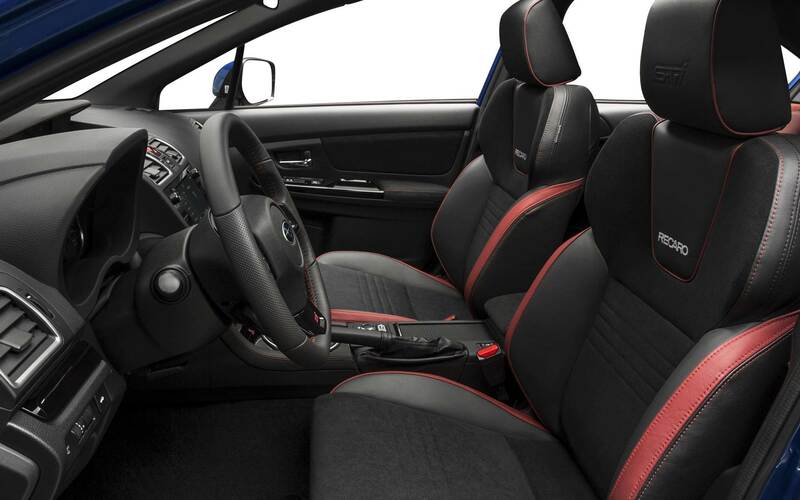 The WRX is available in an STI model that is available in standard and Limited trims. The cabin is roomy and nicely finished. Getting the standard WRX will provide you with a SUBARU STARLINK 6.2" Multimedia system that comes with the most in-demand user technologies that include an auxiliary input jack, a USB port, iPod control capability, Bluetooth hands-free phone connectivity and audio streaming, iHeart Radio, Aha and Pandora smartphone integration, a CD player, a Radio Data Broadcast System, HD Radio, SiriusXM Satellite Radio and a 6.2-inch multi-function touch-screen display. What kind of engine does this car come with? A 2.0-liter Turbo BOXER engine. This engine has four cylinders. Can I get this car with Reverse Auto Braking? Yes, you can do that. The feature comes on WRX cars with the EyeSight Driver Assist system. The 2017 Subaru WRX offers Subaru's EyeSight Driver Assist Technology that is one of the Insurance Institute of Highway Safety's highest-rated front crash prevention systems. The EyeSight Driver Assist Technology comes with Lane Departure warning, Pre-Collision Braking and Adaptive Cruise Control. The EyeSight Driver Assist also uses stereo camera technology developed by Subaru. Getting a WRX with the EyeSight system will automatically get you Reverse Auto Braking. The base WRX model offers Blind Spot Detection and Rear Cross Traffic Alert. Come down to Reedman-Toll Subaru at your earliest convenience to learn more about the 2017 Subaru WRX, give it a test drive and further see how it could be for you. We look forward to assisting with your vehicle search here at Reedman-Toll Subaru!